Salmon was a novelty for me. Growing up in North Africa, I hadn’t had any connection with this delicate fish, although growing up by the Mediterranean Sea, I had a special bond with water, fish and the ecosystem. There, I witnessed the slow decline in the quality of native fish habitat, and simultaneously the price surge in fish at the market due to a downturn in fisheries. Moving to the Pacific Northwest, I didn’t know what I was stepping into. I didn’t realize the importance of salmon to this whole region, their cultural significance, and their role in the ecosystem’s balance. Salmon are not like any other fish I know. Their journey starts in freshwater where they grow up preparing themselves to move gradually downstream to the ocean. After spending between one to six years in the ocean, adult salmon cease to care about food when the time comes to return home to spawn. Their sole mission is to find their way back in spite of human-made obstacles, predators, habitat degradation, and increasing river temperatures. Each year, adult salmon swim upstream against the currents for miles, migrating back to their birth streams to spawn and die, creating life and sacrificing themselves to nourish the ecosystem. It ends where it starts, and it begins where it ends, a beautiful tale of persistence and dedication. Their miraculous journey is a wonder that depicts the salmon’s uniqueness and significance. As an immigrant, I stop and ponder their story and can’t help but draw connections between humans and salmon. We are different, yet we are similar in our behaviors. If we as a society care about the orca whales that eat salmon, forest health, tribal rights, or simply think salmon is delicious, then we must do our part for salmon recovery. We must make our watershed a place where people and salmon coexist. Simple measures like replacing invasive plants with native ones, allowing fallen trees to remain on the ground and in the stream, using natural landscaping practices, and fixing car leaks are paramount to maintaining a healthy habitat. The Pacific Northwest is facing a tough ecosystem challenge that might doom its fauna and flora. As humans we have created these challenges, but we also have the intelligence and power to make our environment healthier. My love for this place that I now call home and my esteem for the salmon’s struggle drive me to participate in this effort to restore salmon habitat and preserve the beauty of this place. Wadii Boughdir, who was born and raised in Tunisia, is a Communications Intern for the Snoqualmie Watershed Forum’s salmon recovery team. Wadii spent the last year working with the International Rescue Committee in Seattle focusing on improving refugee youth programs and developing outreach and communication initiatives. Prior to his experience in the U.S., Wadii worked on several social and non-profit initiatives in Tunisia and helped create the first debating network there, with the program expanding to Libya. He co-founded an educational non-profit to carry on the civic engagement work and has also worked to promote ecotourism. Currently, Wadii is pursuing a master’s degree in Communication in Communities and Networks at the University of Washington. 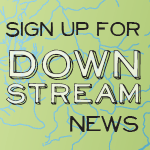 ‹ Farm King County Data Center now live!